Football or soccer games are considered as one of the best sport games ever invented. They can keep you busy for almost an hour without you knowing it. Although I am not a football fan, but I can certainly highlight some of the best football games I have played on my android phone. Android to me cannot only be referred to as a smartphone, its a gaming console capable of playing all the games you craved for. Once you’re lucky and able to purchase a nice android phone with high specifications, then you’re good to ride with some addictive football games. In this article, we’re going to list out the best football games for android with the best quality graphics. Some of this games I still have them on my device and plays them at least once in a day. Choosing a nice football game tends to be confusing, at times its mostly recommended to choose a football game that has a commentary speech. Thus you can be able to enjoy not only the graphics, but also the skills and most importantly the sound quality. However in as much as there are plenty list of football games you can play, only few can give you a commentary speech. But most of the high quality football games also comes with the best graphics ever. So certainly they won’t be left behind when picking or making a choice from the crowd. So below are the best football games you need to play on your android device. 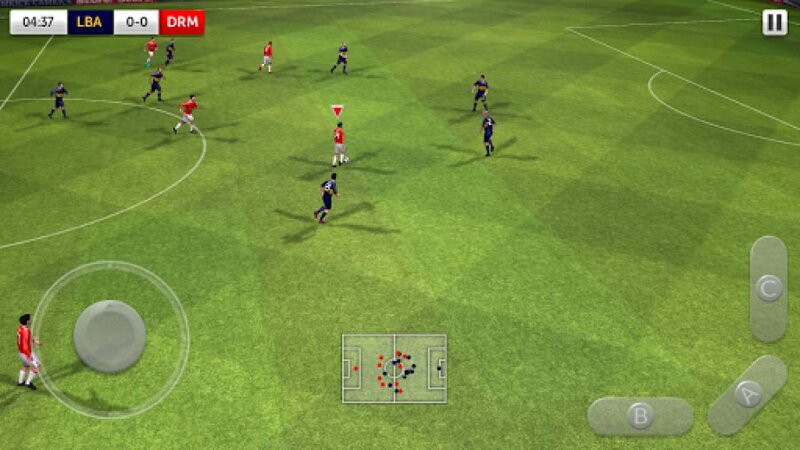 FIFA is the most authentic action football game ever made for android phones. When will talk of the best football games for android, then FIFA should be the number on the list. Ever since I downloaded this game, I haven’t developed a phobia towards it not even for once. FIFA offers over 30 leagues, 650 real teams, and 17,000 real players with the best ever commentary speech. The game brings an innovative levels of competition to your game with attack Mode. Take on thrilling matches that throw you into attacking positions and put glory at your feet. You can also participate in leagues and test your skills in inter-league championships, or take on the best gamers worldwide in League vs. League Tournaments to climb the leaderboards. FIFA comes with the best authentic graphics, from the FIFA 12, FIFA 14 up till FIFA 16 ultimate team, the game still brings an intuitive gameplay. However this game is an online game, but you can get FIFA 12 since it’s offline and also features the best graphics with commentors speech. Currently over 10 million people downloaded FIFA from the Google playstore. 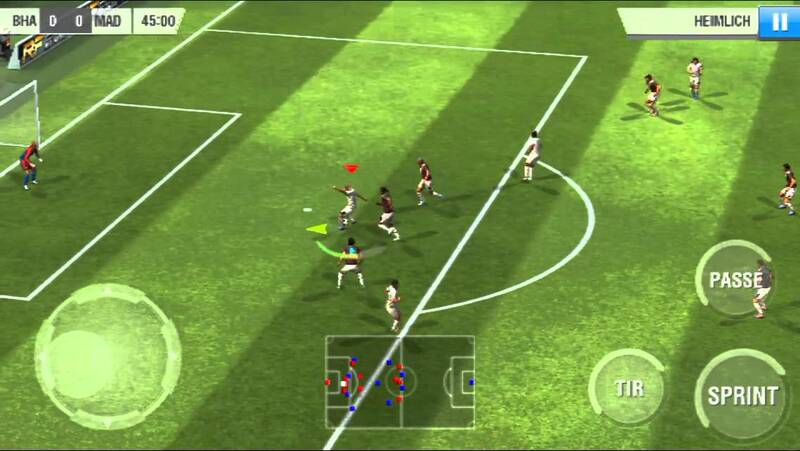 Ultimate football brings the most immersive, addictive and realistic 3D football game to your android smartphone. You can easily build the best squad on the planet and lead them all the way to win the league champion or World Cup of FIFA. Ultimate Football is the definitive mobile football simulation game for android device, featuring simple controls, smooth animations and insane actions. Pass and dribble around opponents, take aim, shoot. You can also control every aspect of your team through the management system. Also trade in the transfer market, train your players to improve their ability and put them on the path to glory. Ultimate football brings about 1000+ players available to set your lineup, formations and tactics. Also the game comes with a polished 3D graphics and high quality sound effects. You can also play the career mode, World Cup mode and Friendly mode. Ultimate football is the number one 3D football game for android and you will fancy it since it features the best control ever. Currently over 10 million people downloaded ultimate football from the Google playstore. 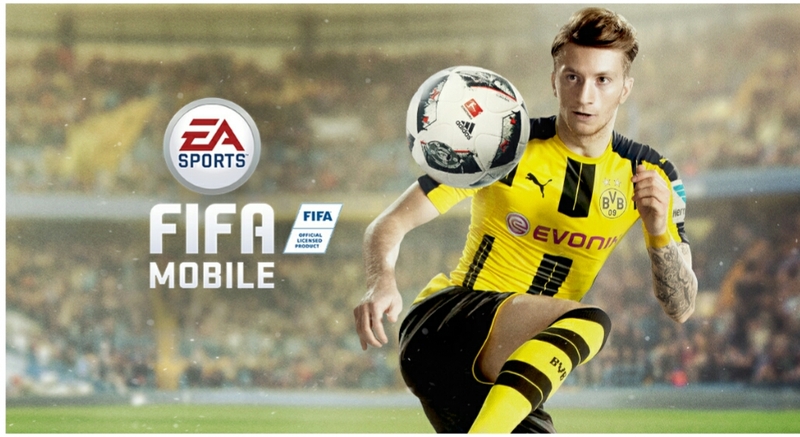 Real football is yet one of the best addictive Football games for android smartphones. It’s a free simulation sports game where you’ll be able to win a league or cup championship, play with world champions, be a manager of a fantasy team, and more. You can also build your dream team by recruiting star players through the lottery, enhancing your players abilities by acquiring skill items through the lottery and matches and much more. Real football brings a stunning visuals 3D stadiums, polished shadows, detailed textures, and spectators which provide an exciting atmosphere. There are multiple camera views during cutscenes and set pieces for a richer broadcast and first-person sensation. Improved your opponents and positioning, use smarter players to make for a much more realistic and challenging experience. The game has the best quality graphics ever and you won’t for any reason, develop any phobia towards it. Currently over 5 million people downloaded real football from the google playstore. Dream league soccer is yet one of the best football games for android. With all new visuals, realistic animations and dynamic gameplay. You can build your very own stadium to showcase your superstars and also develop your players with more accuracy and intent. This game offers a new realistic gameplay thus you need to be smart, tactic in other to form a challenging and addictive experience. One of the best thing I like about dream league soccer is that you’ve the freedom to create, customize and control your very own team and also you can go much further to customize and import your own kits. The game offers 6 division and 7 cup competition which you need to work yourself through. You can easily manager your team in dream league soccer by choosing your formation, perfect your style and take on any team who stands in your way as you rise through 6 Leagues to top the prestigious Elite Division. Dream league soccer is the perfect football game you need to play on your android phone. It features an exclusive soundtrack you won’t ever get tired off. Currently over 10 million people downloaded dream league soccer from the Google playstore. Gameloft aren’t relenting either in giving us the most addictive football games for our android device. Real Football is one of the best ultimate football games for our smartphone with major improvement and experience. Thus you can easily create your own custom team jerseys, shorts and more using a detailed editor, then share it with the rest of the community, or look for cool designs made by other players and use them yourself. There are about 350 teams and 14 league championships to play with in this game including England, Spain, France, Germany and South America. You can also access different game modes including exhibition, league and various uninternational cup modes, or practise your skills in training mode. 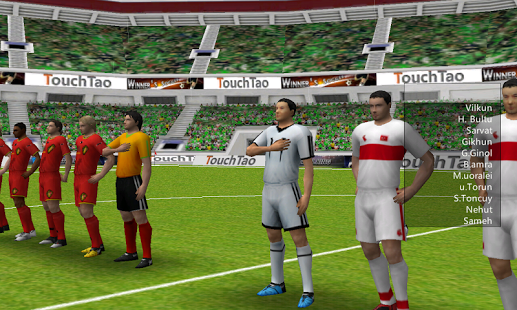 Real football 2012 provides a smoother and more realistic graphics for both players and stadiums. There are over 700 motion capture based animations that adjust to players’ skills and positions on the field. However this game requires an internet connection in other to play, but its free and worth trying. Currently over 10 million people downloaded real football 2012 from the google playstore. World Football league is certainly another popular and the best football games for your android smartphone. It brings a new realistic stunning graphics with lots of skills and tremendous improvements. World football league features like about 60 national teams, 60 clubs and total of 2000. There are total of 4 modes provided, the Exhibition, Cup, League, and Training modes. Thus you can easily kick off into the game and challenge your opponents. Rather than this, world football league support 15 different languages including English. Enjoy splendid dribble and thrilling shooting in the world renowned real Football game ever made on android smartphones. World football league is easy to play and contains the best graphics and controls ever. You surely will fancy this game once you’re previleged to check it out.Currently over 10 million people downloaded world eleven from the google playstore. Top eleven is one of the most downloaded and best online football games for android device. The game allows yoou to choose official jerseys and emblems of the best football clubs from the Premier League, the legendary Champions League and many more football leagues.Top Eleven brings you the most socially engaging football manager experience as you challenge real people worldwide or collaborate with them using the new associations social feature. Easily Pick your top players to create the best team possible. Motivate your players on and off the pitch and start scoring goals. One of the best thing about top eleven is that you can easily challenge your friends through the multiplayer mode. Also you can create your own world famous football team. Test and improve your skills while playing against other managers from around the globe. This game has been rated by many and it’s worth playing. I find it quiet addictive and you certainly won’t get tired of it during gameplay. Currently over 50 million people downloaded top eleven from the Google playstore.g levels in this game and you must explore your way through the dramatic sequence. You can easily customise your hero player for a unique look and feel. The AI intelligent adapts to your passes, and shots making each play through different. Also you can easily pass, shoot and score your way to legendary status. Soccer hero offers the best high quality graphics and its worth playing on your android smartphones. Currently over 10 million people downloaded soccer hero from the google playstore. So this are some of the best Football games for android, they’re fully loaded with high quality graphics and addictive soundtrack you won’t want to miss, even if you’re not a Football fan, then the above listed games can keep you busy for hours non-stop. Happy gaming!..